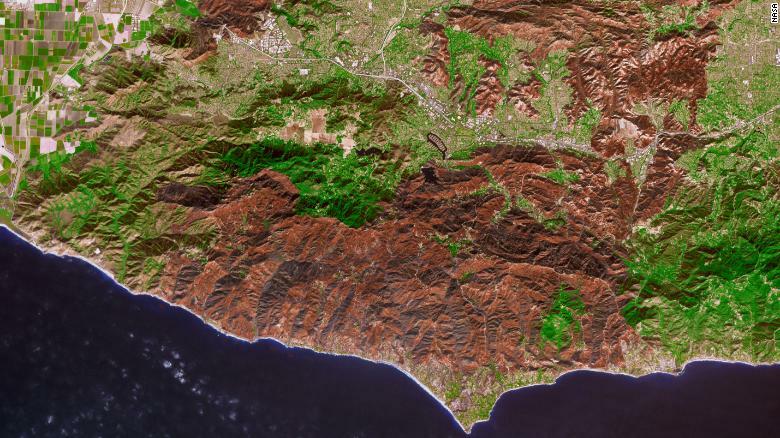 Yes, there are actually mountain lions in the Los Angeles Metropolitan Area. Unfortunately, the recent Woolsey Fire in Malibu led to the death of mountain lion P-64. All the mountain lions have been tagged with GPS collars; and their whereabouts are tracked by rangers with the Santa Monica Mountains National Recreation Area. 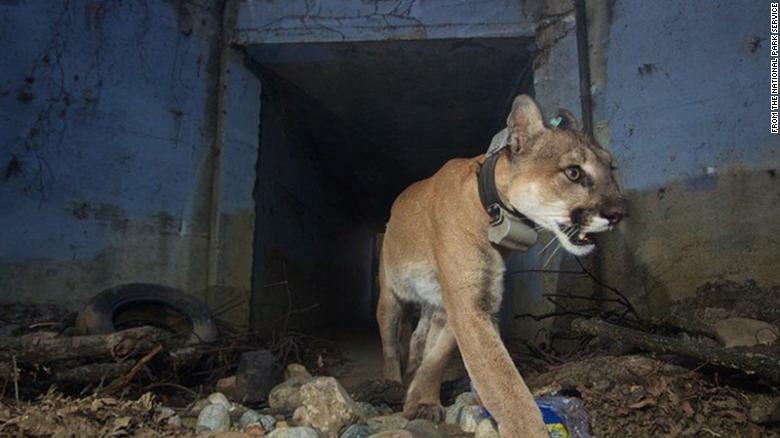 P-64 was nicknamed “Culvert Cat” because he was known to use culverts to cross the two freeways (U.S. 101 and California 118) that crossed his territory between and Santa Monica and Santa Susanna Mountains. Although P-64 was still in action when the Woolsey Fire was contained, his body was found with burnt paws subsequent to that announcement. When Martine and I visited Banff National Park in Saskatchewan, we noticed that at several points along the main access road, there were bridges for wildlife to cross in safety. Trip wires connected to video cameras have enabled wildlife authorities to determine how just how successful these bridges have been. I can imagine it will be snowing in hell before American politicians commit any funds to do the same here. Perhaps they could be induced to cross the freeway during rush hour to show how it could be done. Although dwellers in Malibu would not agree with me, I get a thrill when I see a coyote or a mountain lion near where I live—but then I don’t have any dogs or cats that could be eaten by natural predators. This entry was posted in southern california and tagged freeways, mountain-lions, wildfires. Bookmark the permalink. When I lived in northern Arizona, coyotes were a common sight, as were antelope and of course rabbits and jackrabbits. Occasional sightings of roadrunners and even a porcupine once. One of my favorite memories is of looking out the window toward our trash burning barrel and seeing a coyote on hind legs grabbing and making off with the turkey carcass. After that I just threw anything like that over the fence. Bear! Not sure what I would have done if I’d seen one in my yard. Only been to the Tahoe area once. It was gorgeous.